To me, nothing feels better than a satisfying breakfast to nurture and empower the body to prepare for the day ahead. The thing is, as an American, I find it difficult to come up with healthy and original breakfast ideas. That’s because so many people are convinced that breakfast is boring. And that it only consists of staple foods such as eggs, microwave sausage, processed cereal, and sugary foods. So I set out to create a list of breakfast recipes that are both delicious and healthy. I tried my best to include something for everyone. There are options for the perpetually busy, the weekend breakfast adventurers, the motivated morning people (yeah, those lucky ones), and for those who have dietary restrictions. 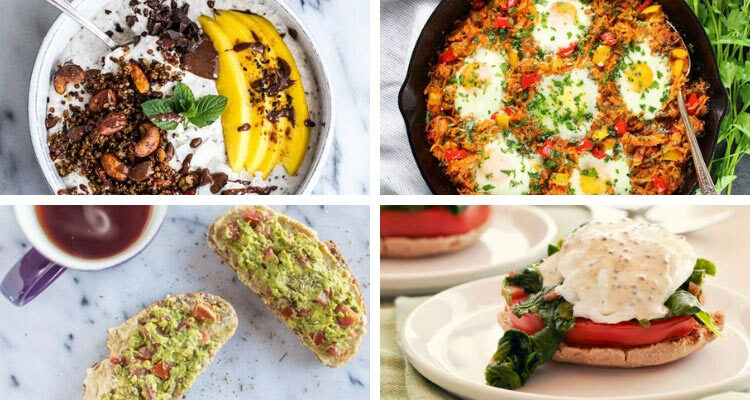 With 33 different healthy breakfast recipes listed here, at least one of them is bound to appeal to your taste buds and dietary requirements. Okay, I rambled on enough. Let’s move on to the list of recipes. Not only does this recipe look amazing, but it is also filled with healthy mono & poly-unsaturated fats. 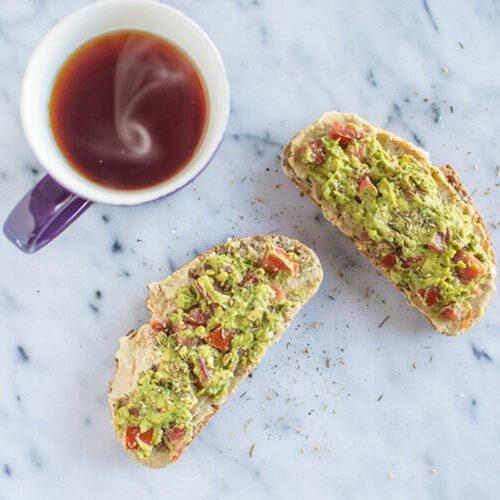 A breakfast like this should certainly hold you over until lunch thanks to the healthy fats and protein packed in this recipe. 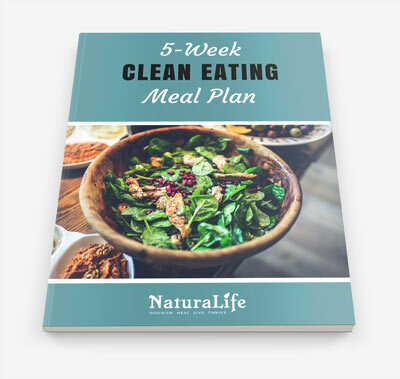 to download a free 5-week clean eating meal plan. Smoothies are fantastic for busy mornings or if you’re looking to shed a few pounds. 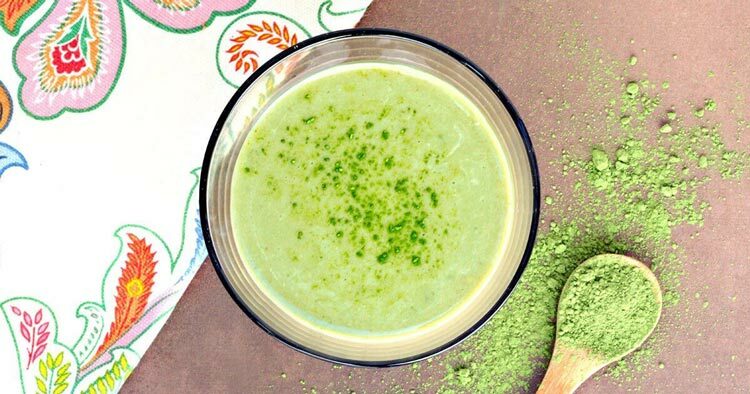 The protein powder helps you stay full and the matcha green tea provides a nice boost in energy. It’s the perfect breakfast to start your day. For this reason, this recipe is one of my favorites! If you try this recipe out, I would highly suggest trying the protein powder mentioned in the recipe. It’s one of the best plant-based protein supplements out there because it uses sprouted and fermented ingredients. This means a happier and healthier gut! Pancakes typically are not among the healthiest of breakfast choices you can make. But these nutrient-dense pancakes are a completely different story. 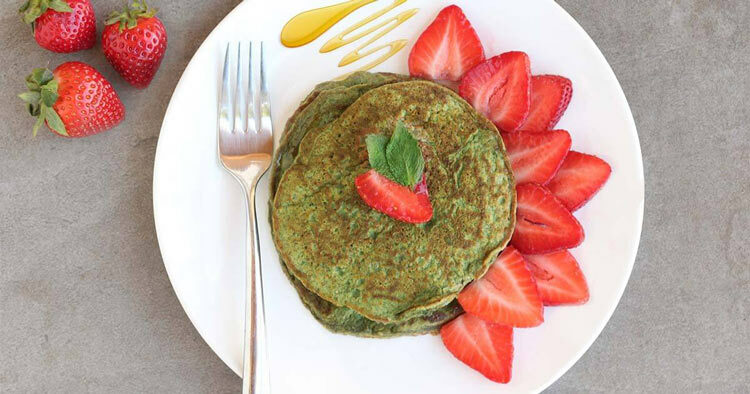 This recipe, created by pro golfer Belen Mozo, contains a superfood green juice powder that has over 50+ superfoods, plant-based protein, and it’s gluten-free. Nutritionally speaking, it’s the best way to start your day with a bang. You can get this delicious pancake recipe here. This recipe is just heaven in your mouth. I mean come on! Look at it! That being said, it’s a bit high in sugar, so I would not suggest having this every single morning. 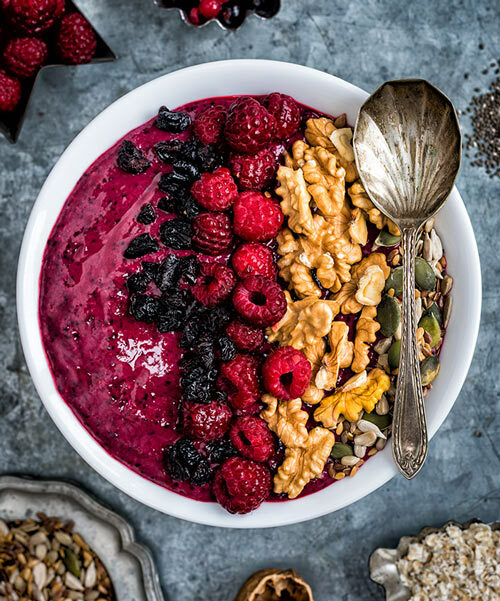 Get the smoothie bowl recipe here. I have personally found these to be great if you cook them on a Sunday. 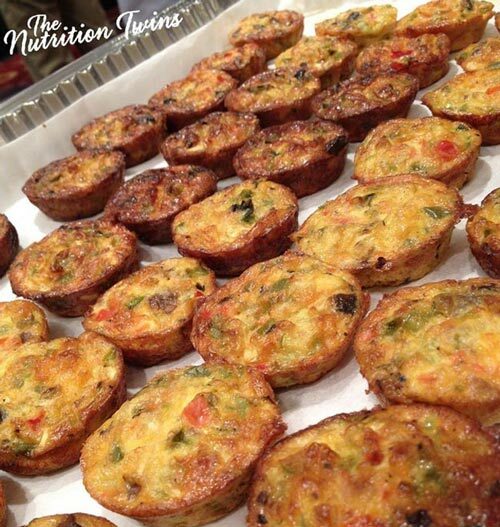 That way, you will have a prepared breakfast that saves time and can be taken on-the-go. You can honestly add any vegetable or meat to this recipe. It is quite versatile. Get the recipe here. Instead of sugar-filled jams/jellies, try something different like mashed avocados and hummus. By using foods with less added sugars, your energy will actually be sustained longer throughout the day. Sugar (especially without any fats or protein) spikes your blood sugar and makes you crash soon after. To make this healthier, I would highly suggest that you use Ezekiel bread with this recipe. It uses only sprouted grains, seeds, and legumes to ensure your gut digests it easily. 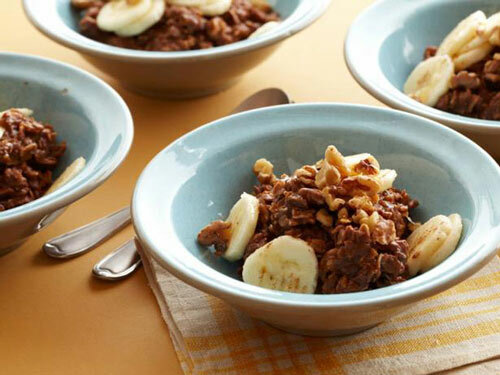 Anytime I see chocolate added to a healthy breakfast, you can count me in. Remember to minimalize the amount of sugar you add and try to use dark chocolate that is at least 70% dark (the darker it is, the better it is for you). Get the recipe here. 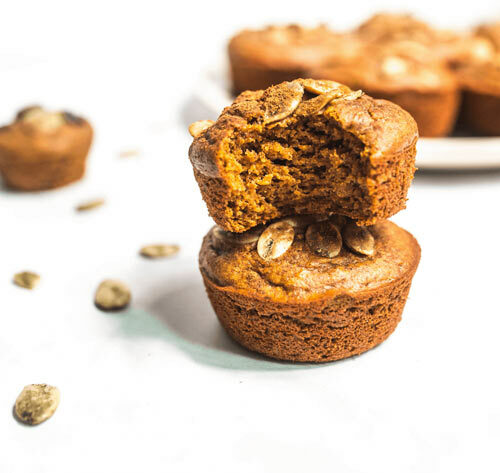 While these may look naughty at first glance, these delicious pumpkin muffins are actually quite healthy. 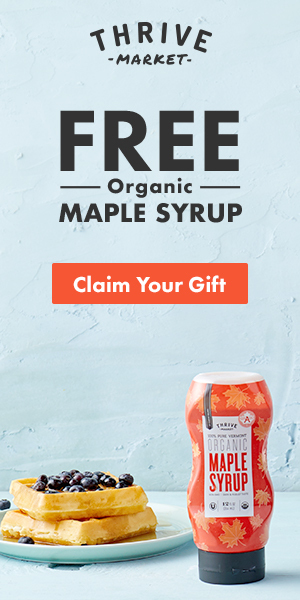 They are completely grain-free and use maple syrup as a natural sweetener. Check out the recipe here. 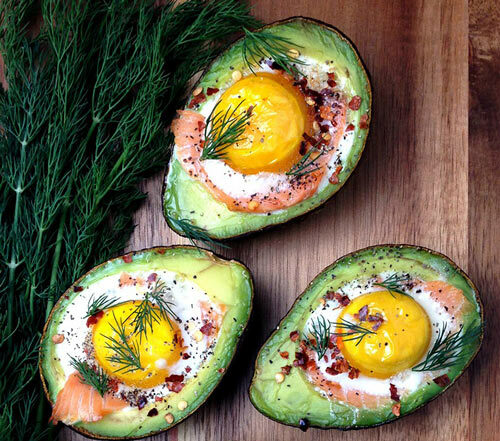 This delicious gem is filled with healthy fats from coconut to keep you feeling full. 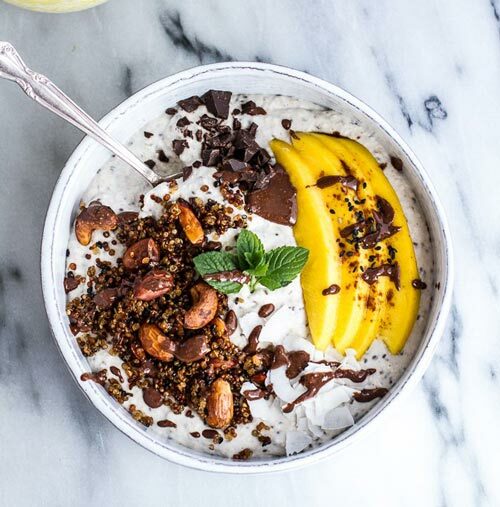 It’s topped off with a scrumptious quinoa and almond granola. You can get the recipe by Half Baked Harvest here. Feeling adventurous? 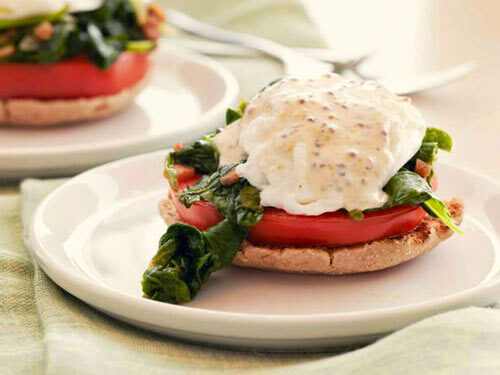 Try this kale and tomato benedict. To make it healthier, try hash browns or roasted sweet potatoes the bottom instead of bread (I actually prefer hash browns). Get the recipe here.